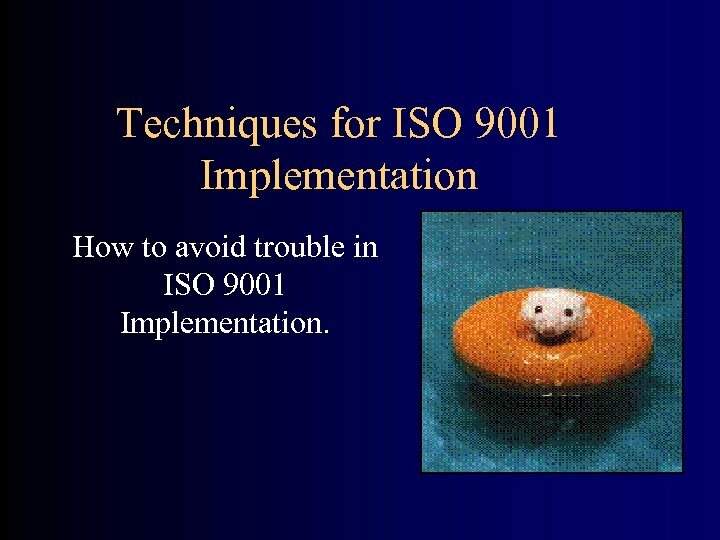 Techniques for ISO 9001 Implementation How to avoid trouble in ISO 9001 Implementation. Diving In Over coming fear of the water. Diving In It is too cold! 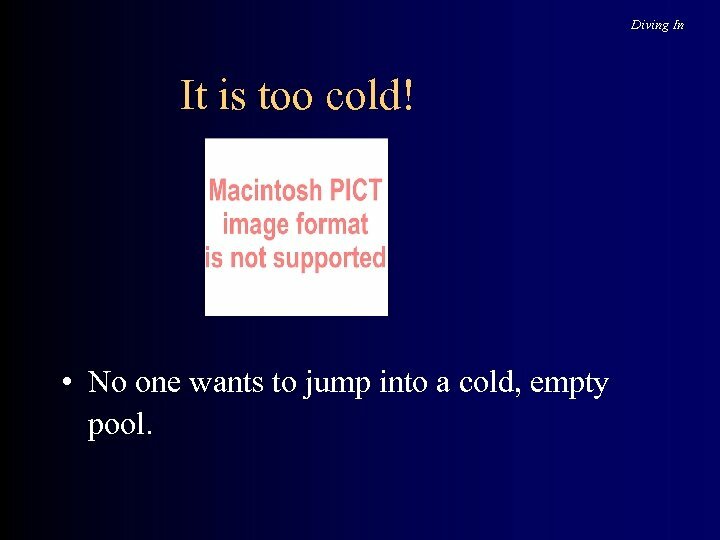 • No one wants to jump into a cold, empty pool. 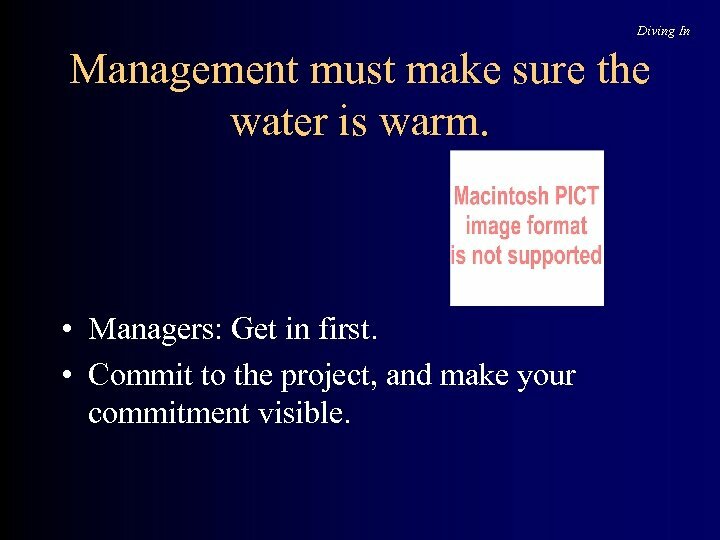 Diving In Management must make sure the water is warm. 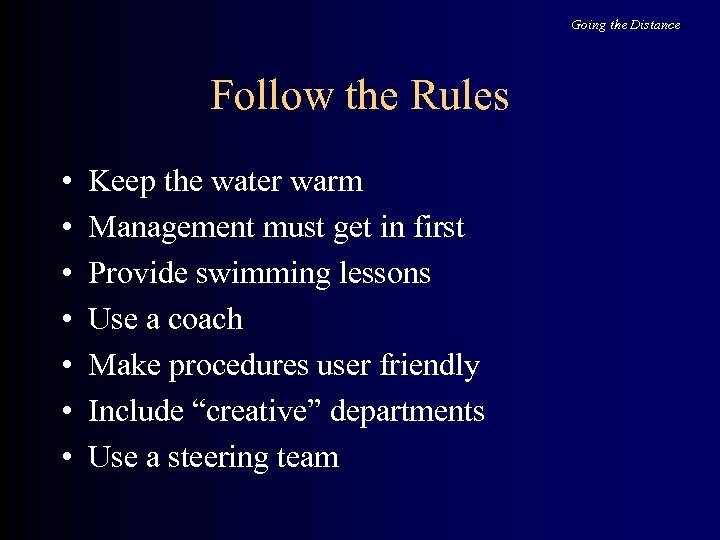 • Managers: Get in first. 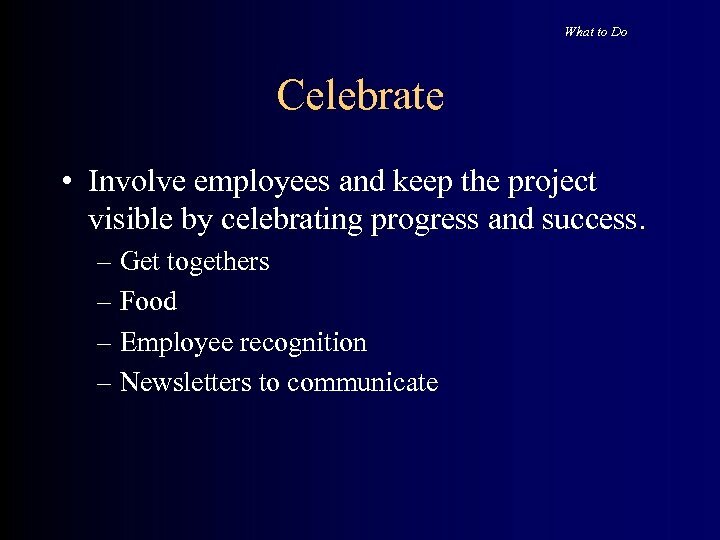 • Commit to the project, and make your commitment visible. 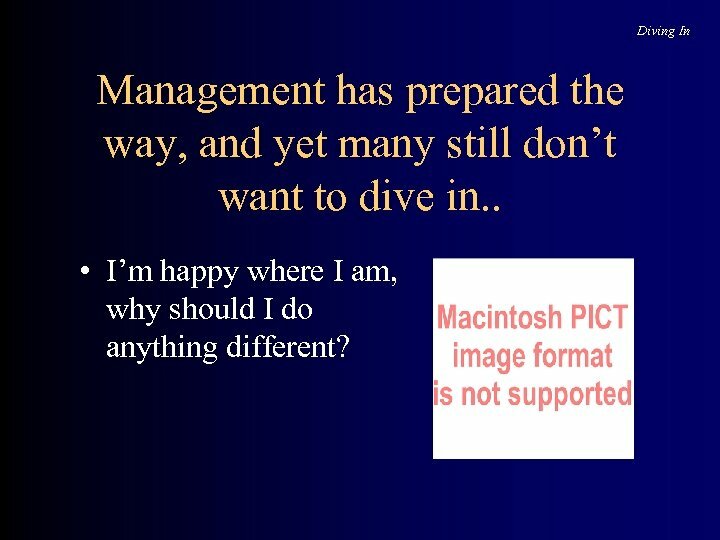 Diving In Management has prepared the way, and yet many still don’t want to dive in. . • I’m happy where I am, why should I do anything different? Diving In Make the water inviting • People won’t want to get in on the project unless they know what it means to them and to their job. 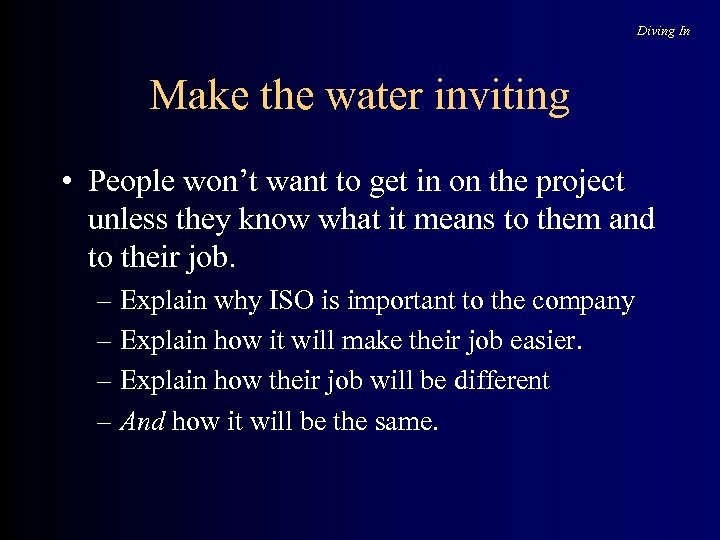 – Explain why ISO is important to the company – Explain how it will make their job easier. – Explain how their job will be different – And how it will be the same. 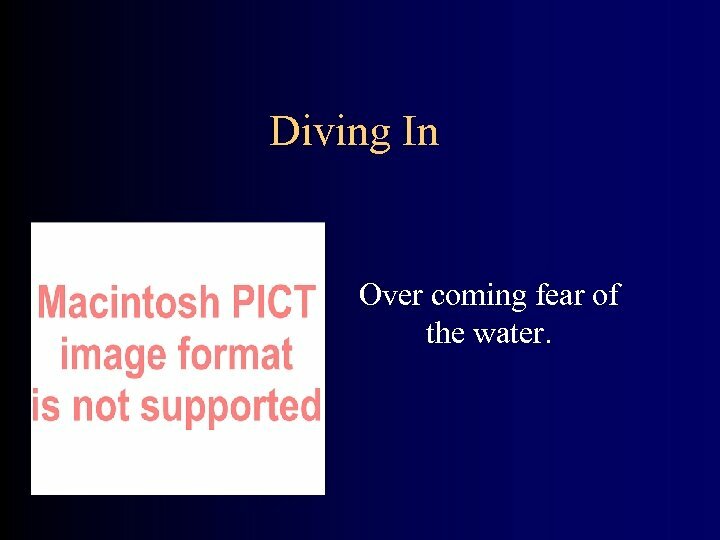 Diving In Remove threat • Involve employees in the development process. – To modify or develop processes to meet the standard use the people that are currently involved in the process. – Train all staff on the corrective action and internal audits; emphasize the focus on improving the process. 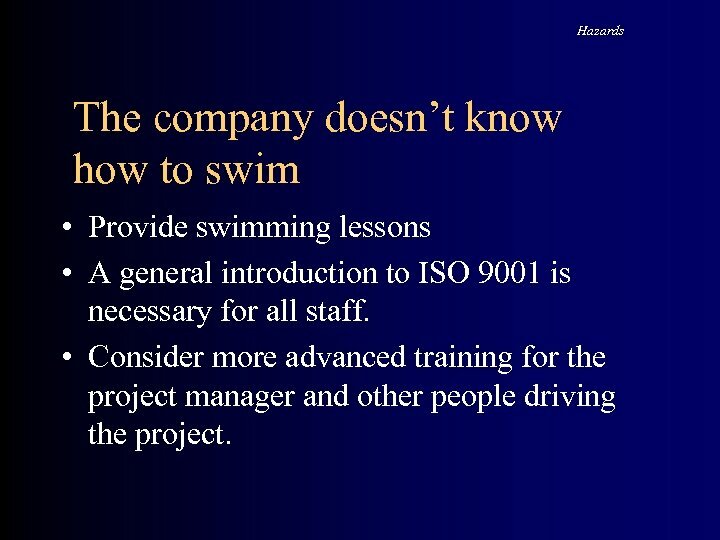 Hazards The company doesn’t know how to swim • Provide swimming lessons • A general introduction to ISO 9001 is necessary for all staff. 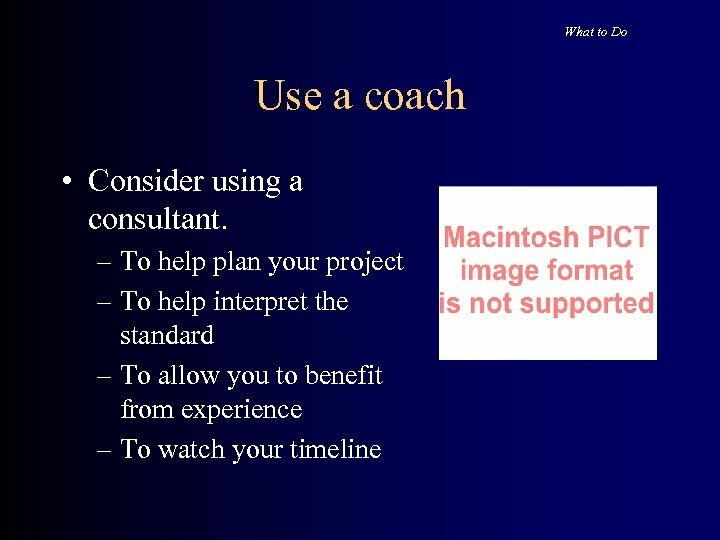 • Consider more advanced training for the project manager and other people driving the project. 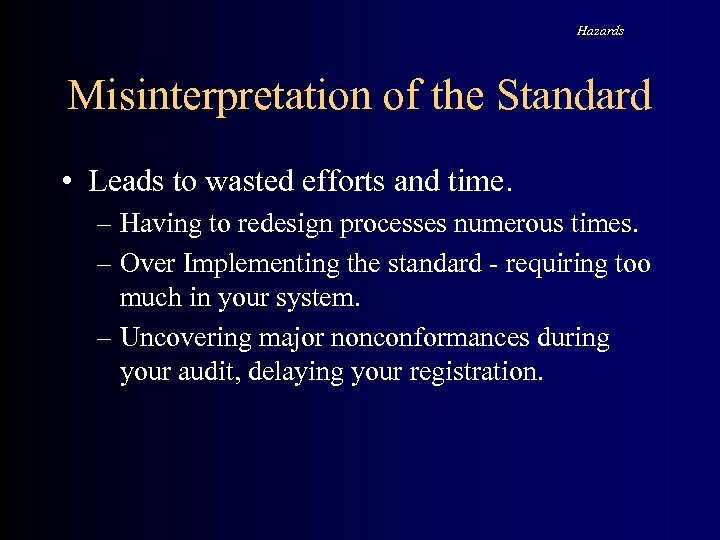 Hazards Misinterpretation of the Standard • Leads to wasted efforts and time. – Having to redesign processes numerous times. 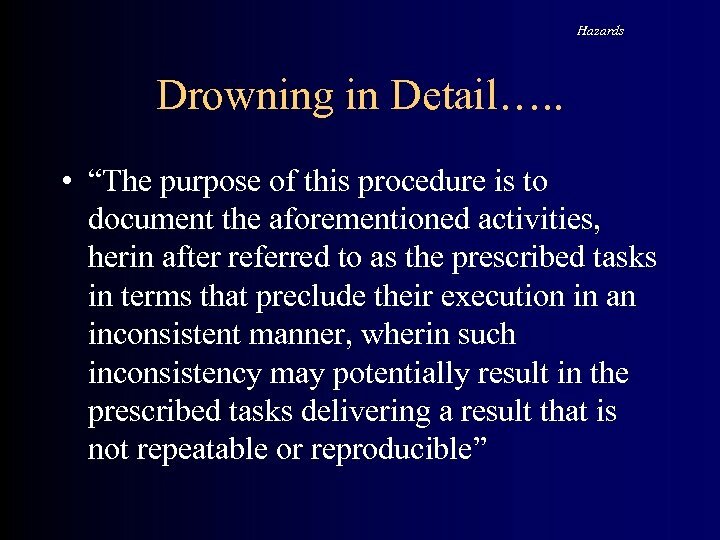 – Over Implementing the standard - requiring too much in your system. – Uncovering major nonconformances during your audit, delaying your registration. 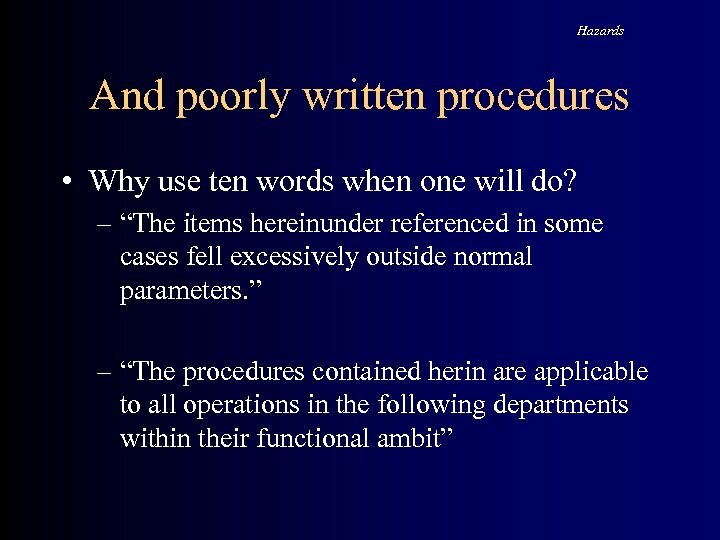 What to Do Make procedures user friendly • Use short sentences starting with a verb. 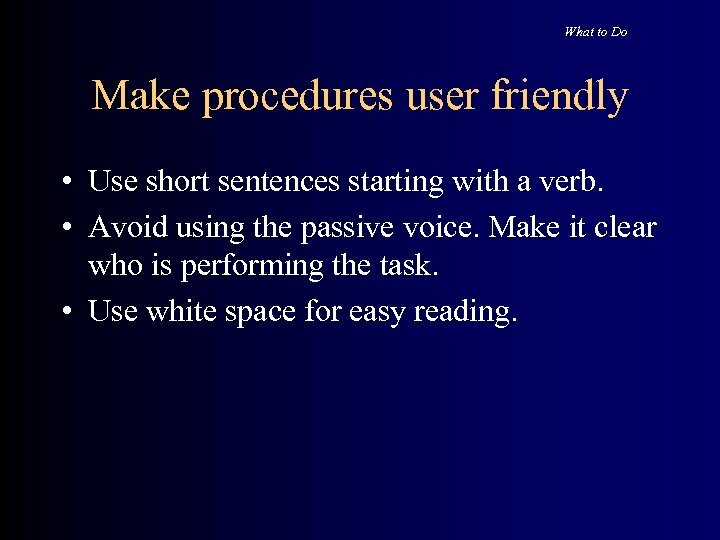 • Avoid using the passive voice. Make it clear who is performing the task. 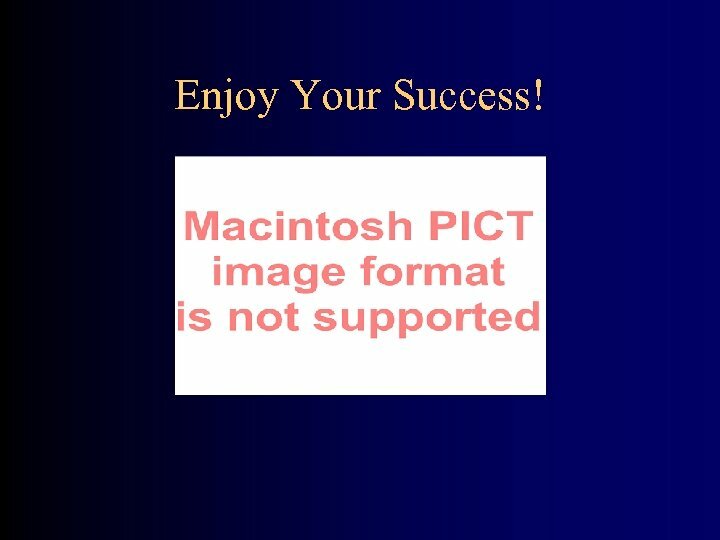 • Use white space for easy reading. Hazards Documentation Too Much? Too Little? 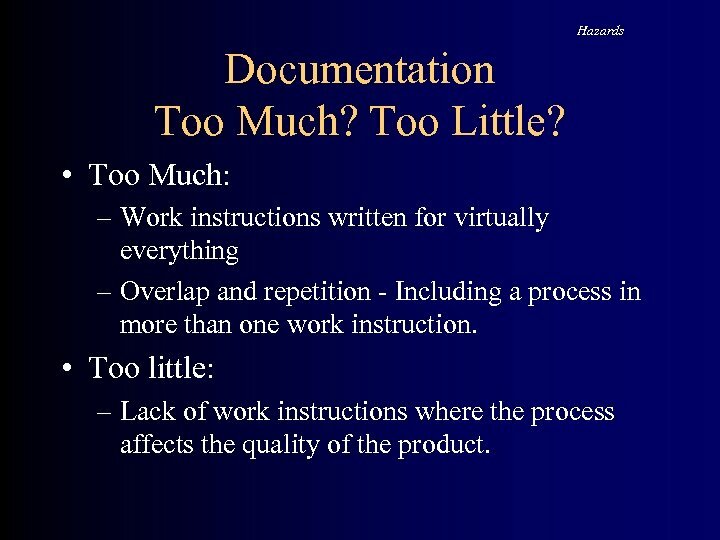 • Too Much: – Work instructions written for virtually everything – Overlap and repetition - Including a process in more than one work instruction. • Too little: – Lack of work instructions where the process affects the quality of the product. 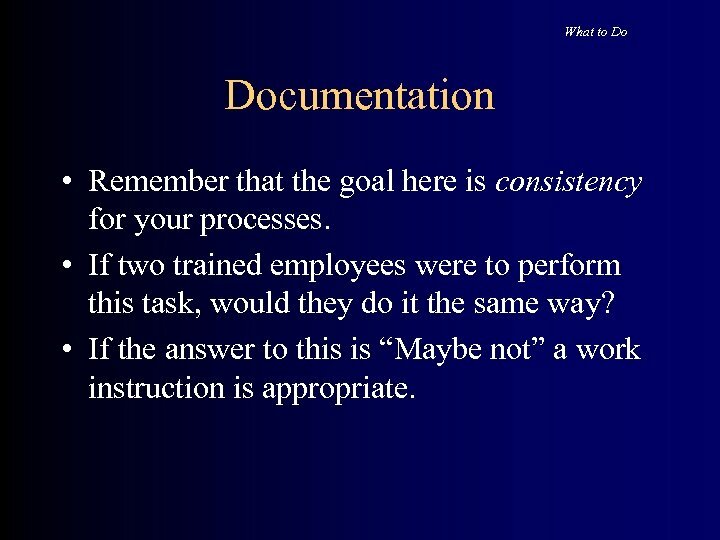 What to Do Documentation • Remember that the goal here is consistency for your processes. 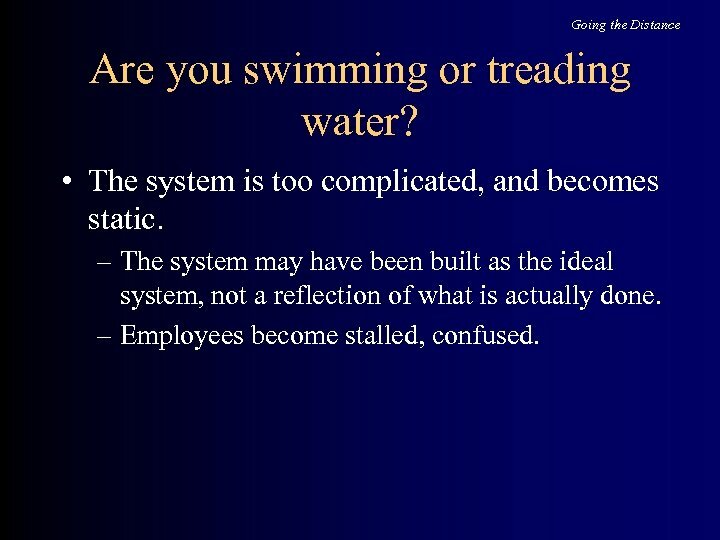 • If two trained employees were to perform this task, would they do it the same way? 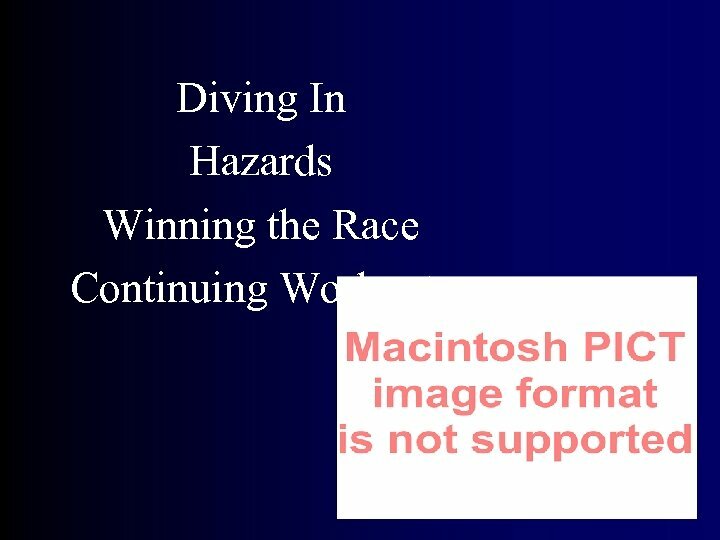 • If the answer to this is “Maybe not” a work instruction is appropriate. 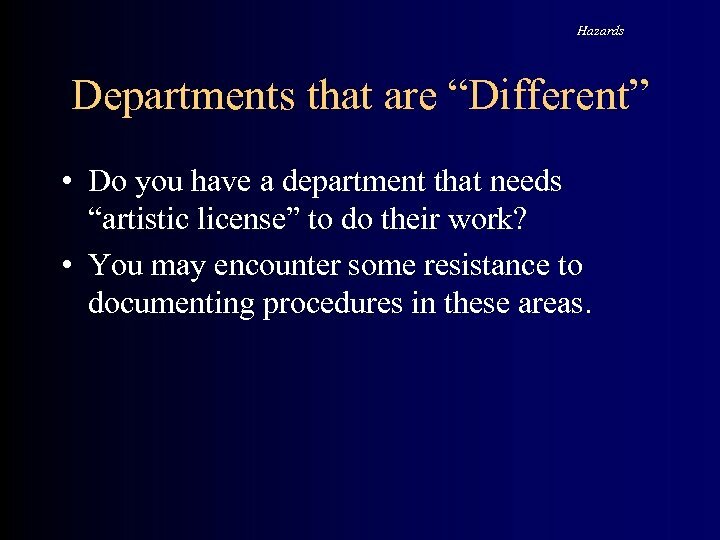 Hazards Departments that are “Different” • Do you have a department that needs “artistic license” to do their work? 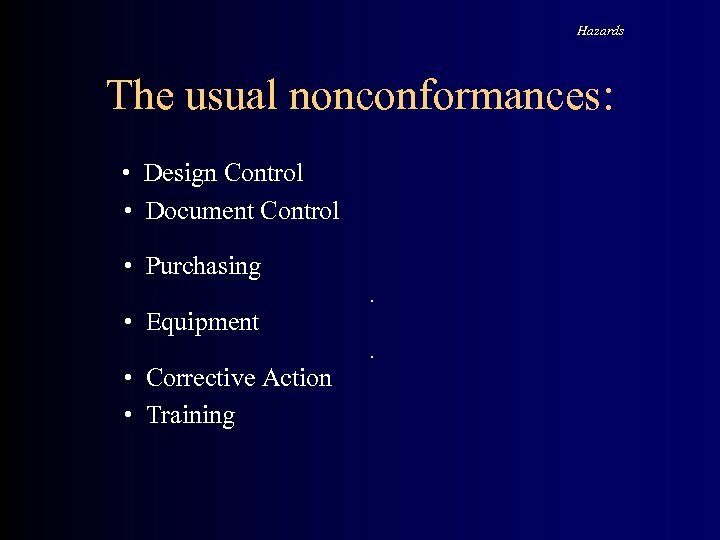 • You may encounter some resistance to documenting procedures in these areas. What to Do Help them see how the procedure can work for them. 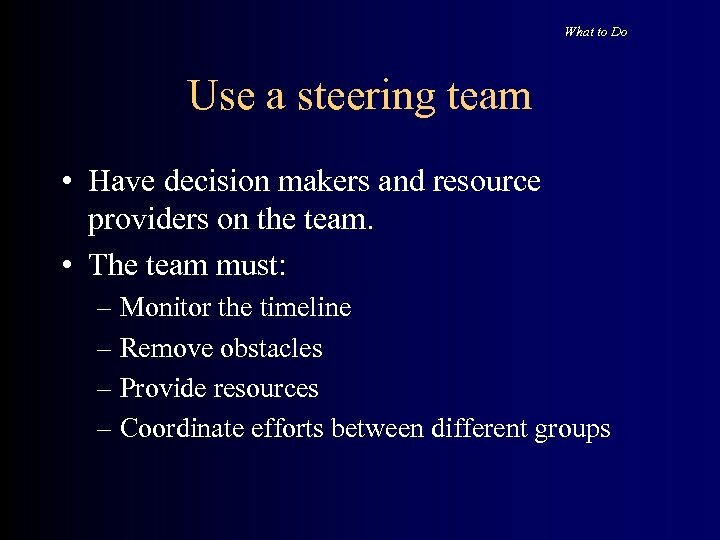 • It is important to demonstrate to these departments that the process should be consistent. • The creativity takes place within the process. 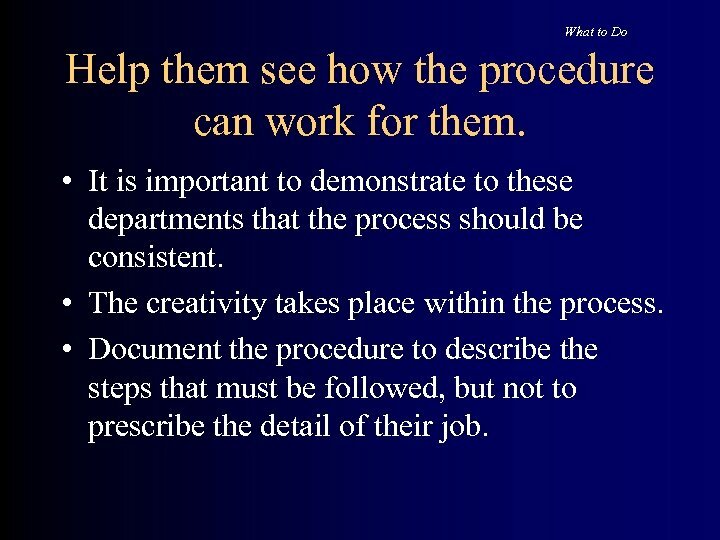 • Document the procedure to describe the steps that must be followed, but not to prescribe the detail of their job. 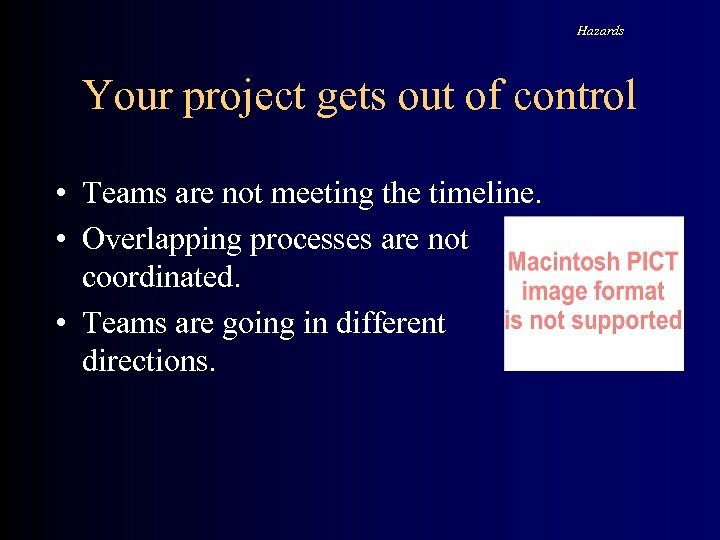 Hazards Your project gets out of control • Teams are not meeting the timeline. • Overlapping processes are not coordinated. • Teams are going in different directions. 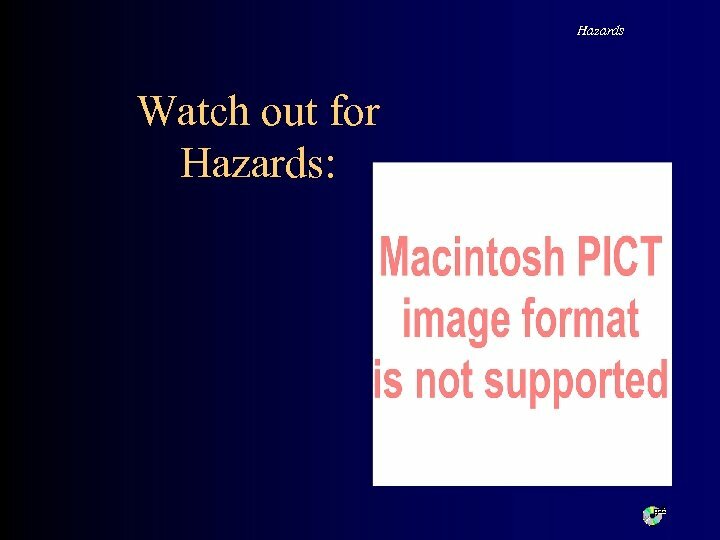 Hazards Employees are not aware of progress. 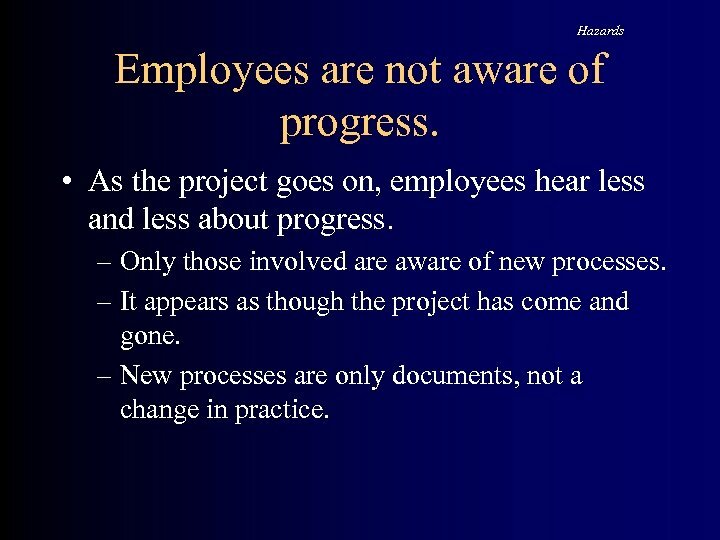 • As the project goes on, employees hear less and less about progress. 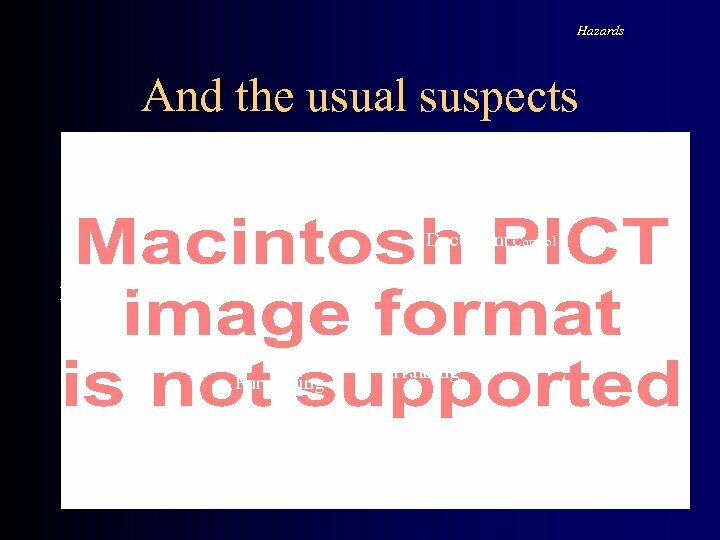 – Only those involved are aware of new processes. – It appears as though the project has come and gone. – New processes are only documents, not a change in practice. 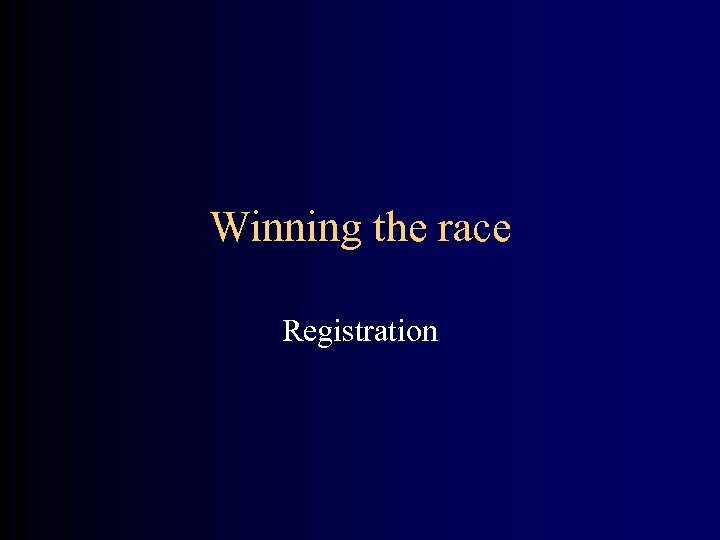 Winning the race Be prepared for your audit: • • Complete one cycle of internal audits. Complete one management review. Have approximately 3 months of records. 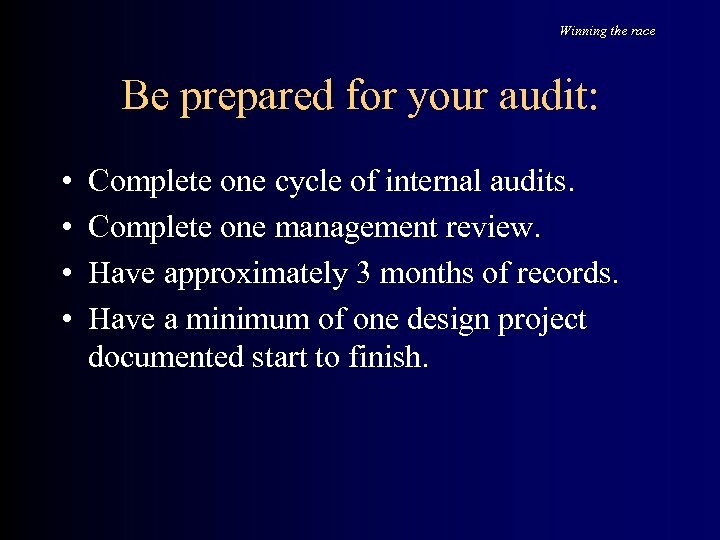 Have a minimum of one design project documented start to finish. 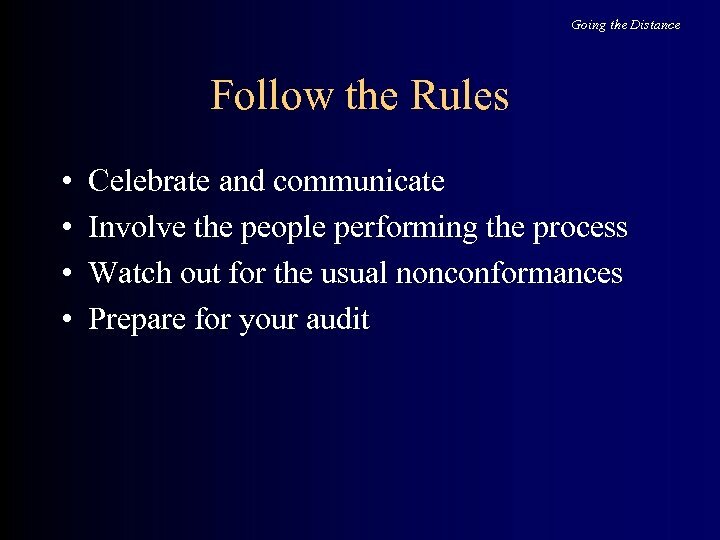 Winning the race Be prepared for your audit: • Make all employees aware of the audit. • Let them know what to expect. 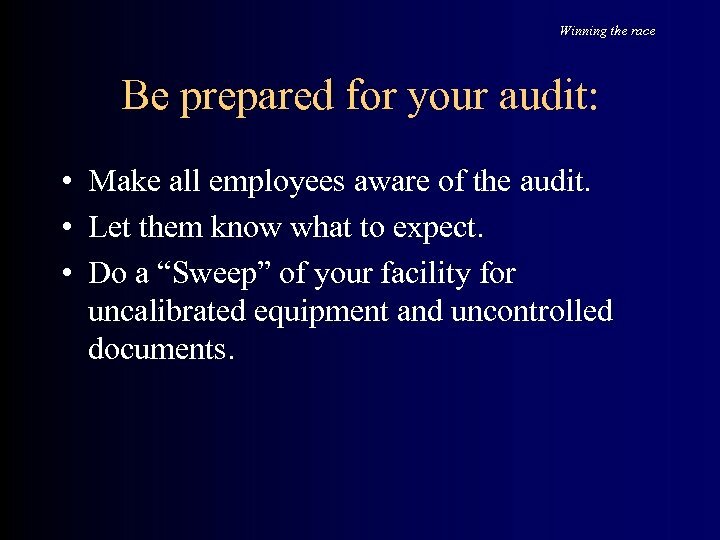 • Do a “Sweep” of your facility for uncalibrated equipment and uncontrolled documents. 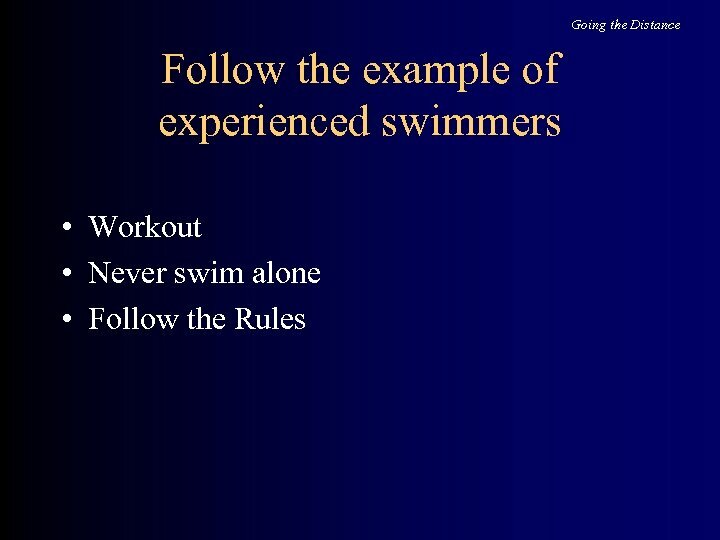 Going the Distance Are you swimming or treading water? • The system is too complicated, and becomes static. – The system may have been built as the ideal system, not a reflection of what is actually done. – Employees become stalled, confused. 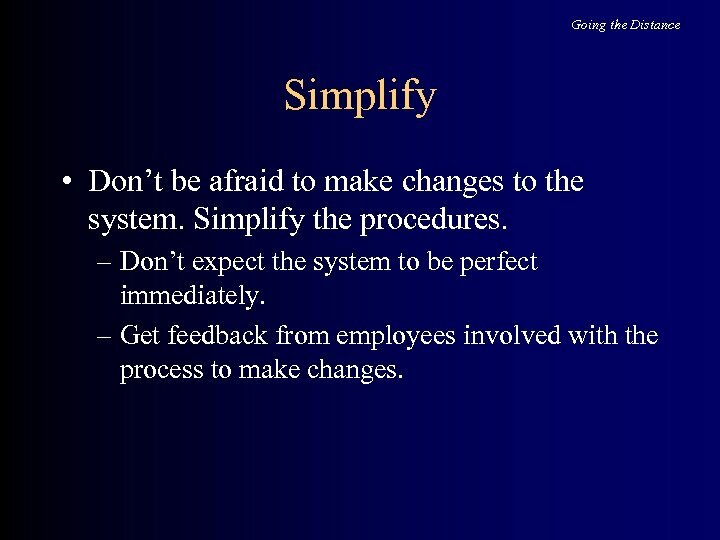 Going the Distance Simplify • Don’t be afraid to make changes to the system. 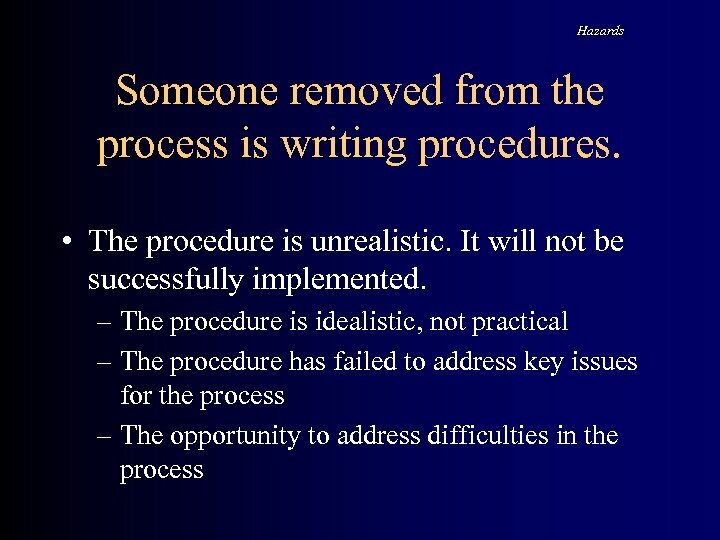 Simplify the procedures. – Don’t expect the system to be perfect immediately. – Get feedback from employees involved with the process to make changes. 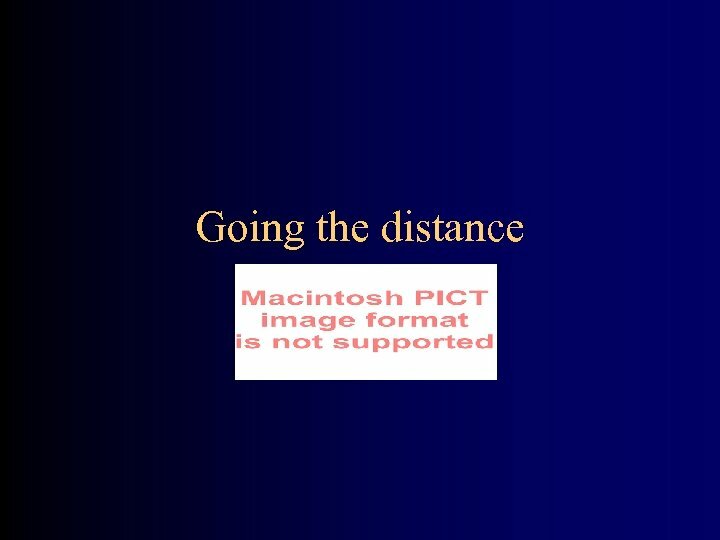 Going the Distance Is Management Review Effective? 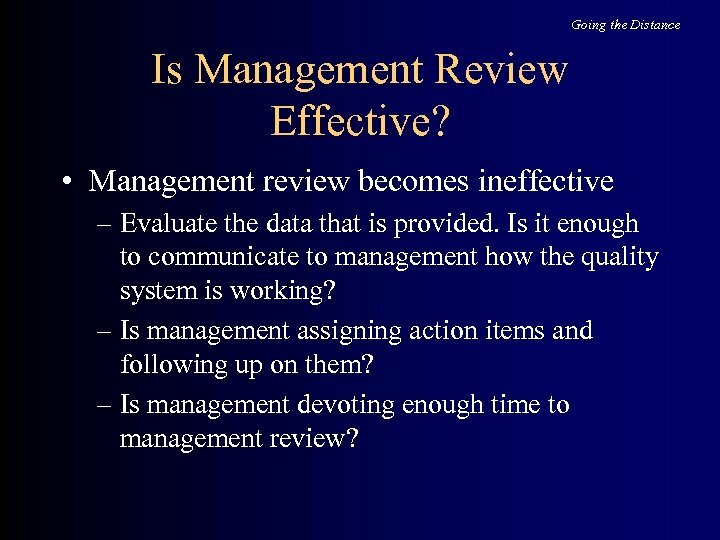 • Management review becomes ineffective – Evaluate the data that is provided. Is it enough to communicate to management how the quality system is working? 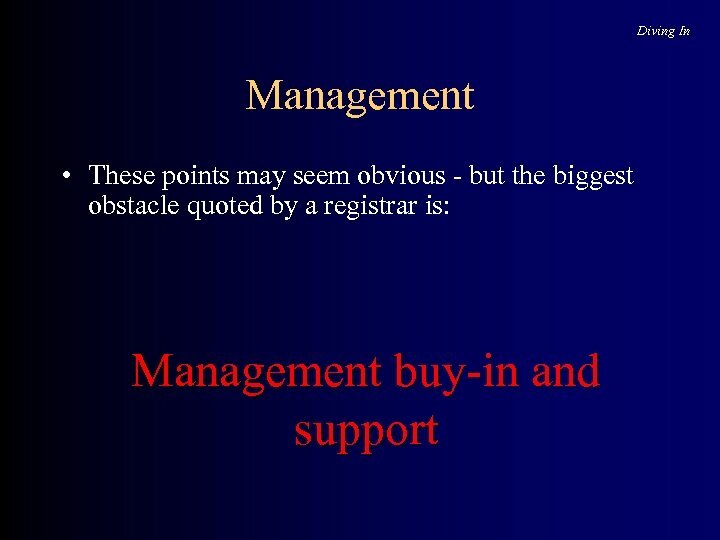 – Is management assigning action items and following up on them? – Is management devoting enough time to management review? Going the Distance Are Internal Audits Effective? 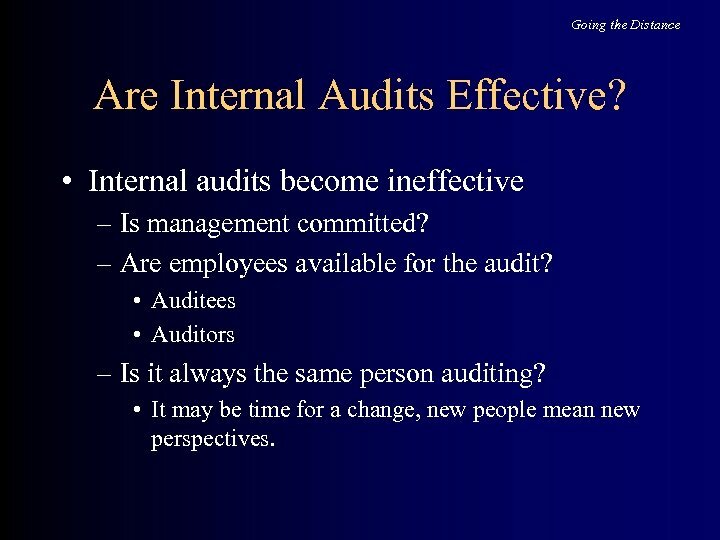 • Internal audits become ineffective – Is management committed? – Are employees available for the audit? • Auditees • Auditors – Is it always the same person auditing? • It may be time for a change, new people mean new perspectives. Going the Distance Workout • Use the system that you have built. • Implement corrective actions. 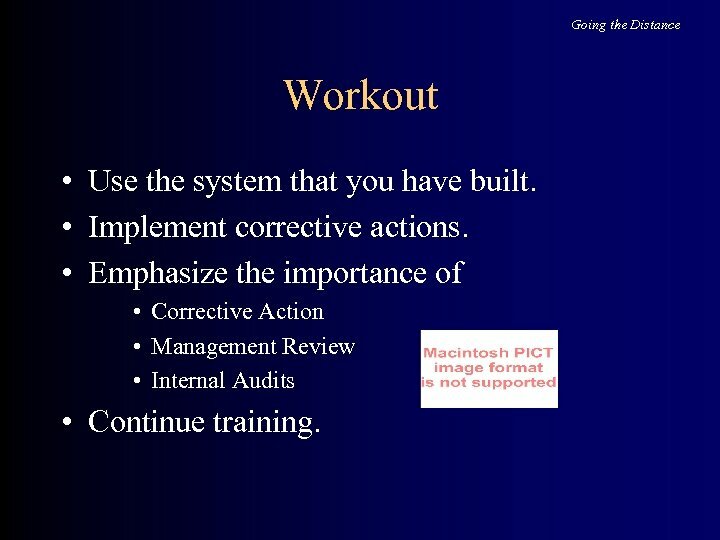 • Emphasize the importance of • Corrective Action • Management Review • Internal Audits • Continue training. Going the Distance Never swim alone • The system cannot be the responsibility of one person. 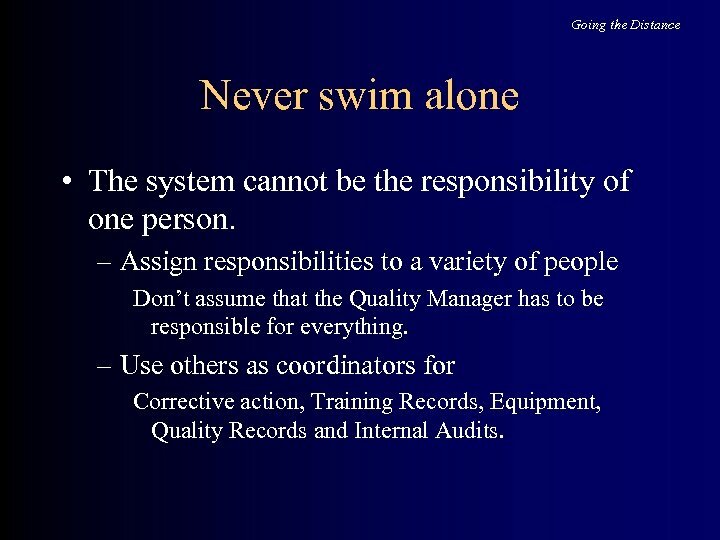 – Assign responsibilities to a variety of people Don’t assume that the Quality Manager has to be responsible for everything. 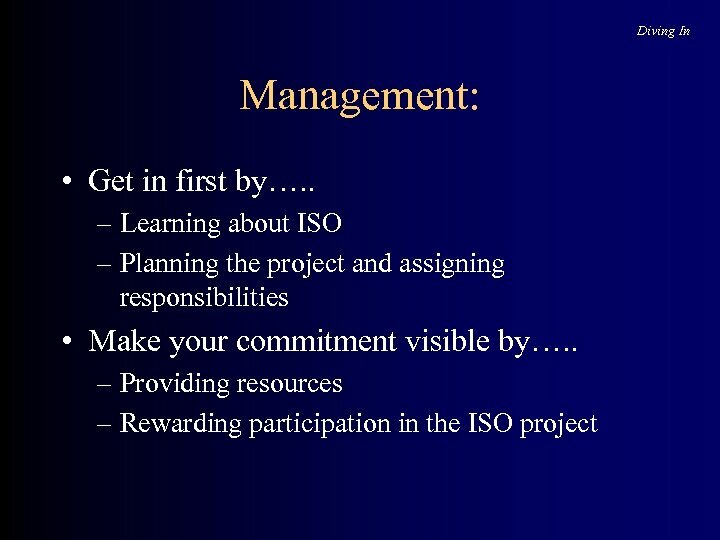 – Use others as coordinators for Corrective action, Training Records, Equipment, Quality Records and Internal Audits.